Support for the SODAQ SARA AFF boards. 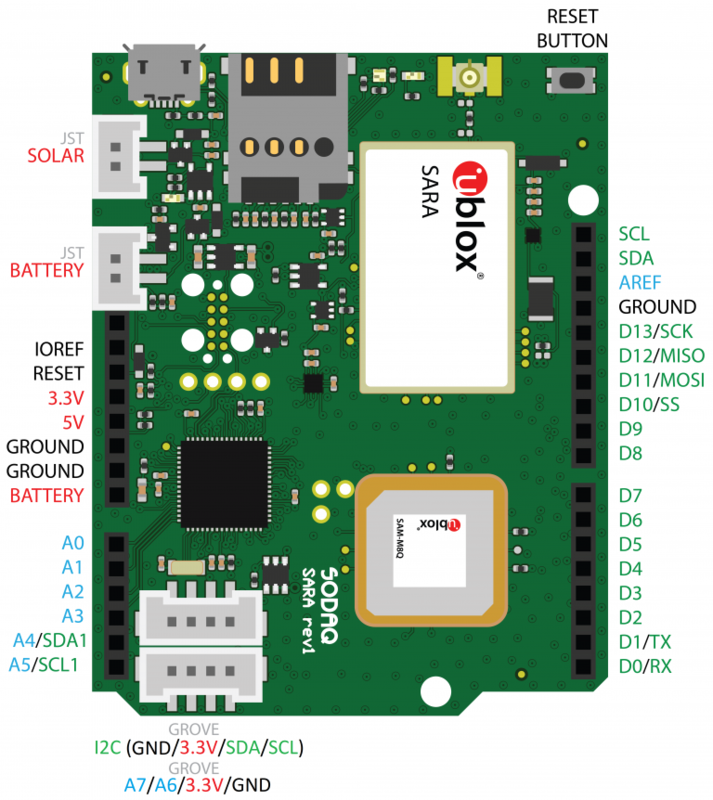 General information about this board can be found on the SODAQ support website. Put the board in bootloader mode by double tapping the reset button. When the board is in bootloader mode, the user led (blue) oscillates smoothly. Use BOARD=sodaq-sara-aff with the make command. To access the STDIO of RIOT, a FTDI to USB converter needs to be plugged to the RX/TX pins on the board. Board specific definitions for the SODAQ SARA AFF boards. Configuration of CPU peripherals for the SODAQ SARA AFF boards.